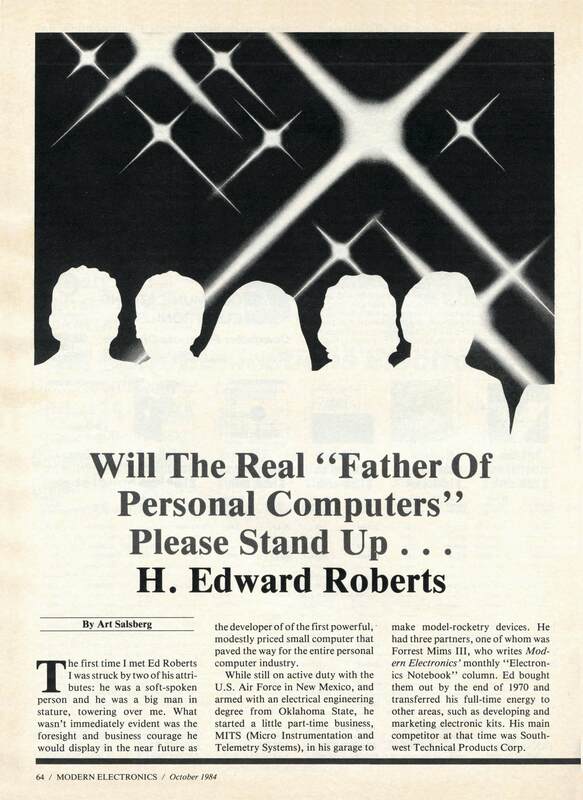 You and Michael Holley have done much to promote the history of the development of the PC era, and your interest in presenting an accurate history of Ed Roberts and MITS, Inc., the company he co-founded in 1969, is sincerely appreciated. 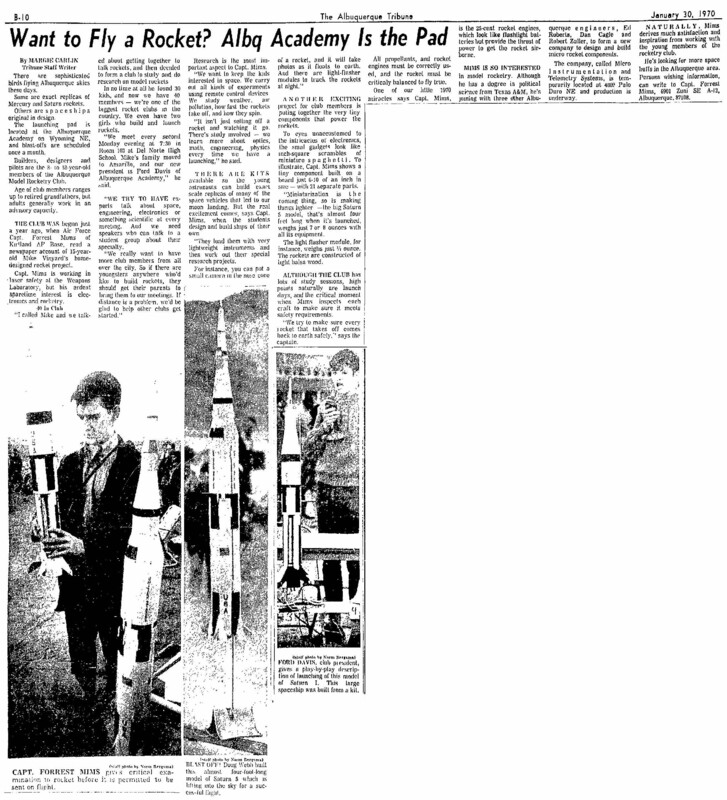 I still remember the day Ed and I first met at the Laser Division of the Air Force Weapons Laboratory in 1968. 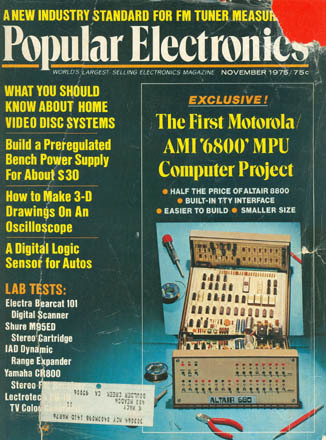 We were soon sharing our mutual dreams about starting a small company on the side to sell kits for electronic projects like those Don Lancaster was publishing in Popular Electronics. 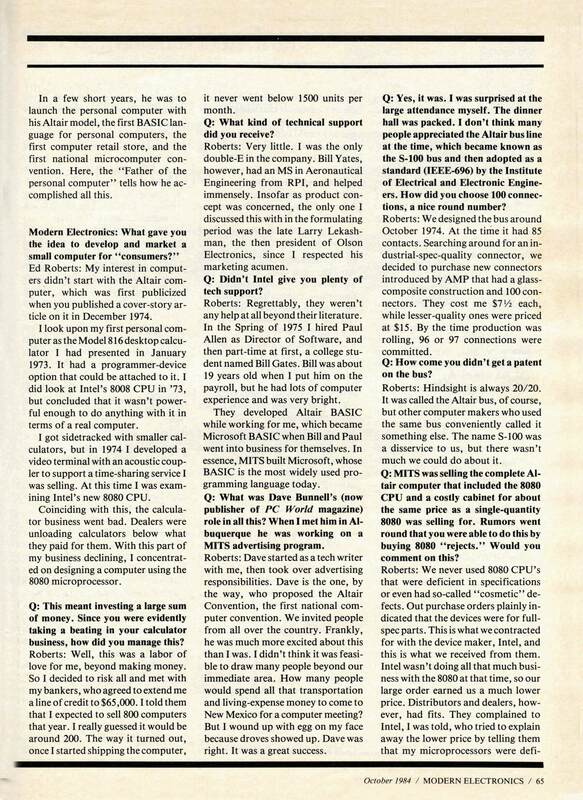 I never dreamed that the company we started with Stan Cagle and Bob Zaller would eventually build the computer that Ed and I talked about developing. It was Ed who carried that dream to its fruition. I'll have more to say about Ed in an editorial for the May 7, 2010, installment of THE CITIZEN SCIENTIST (www.sas.org/tcs), which I hope you will free to publish and/or link. For now, I hope your visitors will read Michael Holley's nicely written Wikipedia biography about Ed. 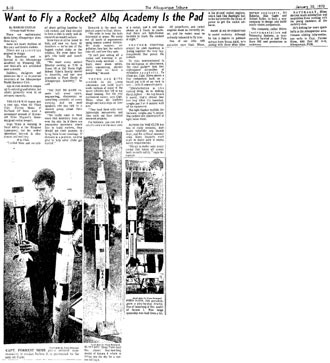 I also hope they will read the joint statement by Paul Allen and Bill Gates, for they have perfectly described Ed and the significance of his development of the Altair 8800, the microcomputer that sparked the personal computer era. 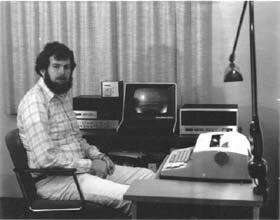 December 2009 marks the 40th anniversary of the founding of MITS and the Digibarn is hosting this special anniversary site in honor of a team and a company that changed the face of computing. Several key people who were involved with MITS and its products and community are contributing to this site which will be included soon. 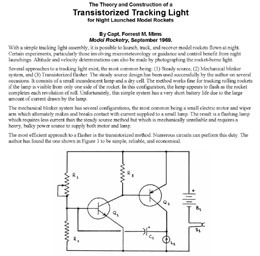 Micro Instrumentation and Telemetry Systems (MITS) was an American electronics company founded in Albuquerque, New Mexico that began manufacturing electronic calculators in 1971 and personal computers in 1975. 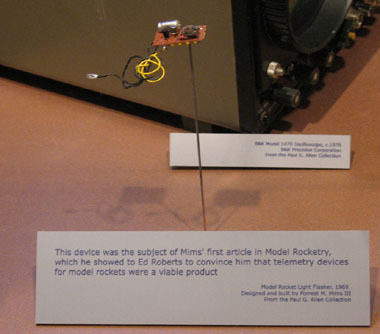 Ed Roberts and Forrest Mims founded MITS in December 1969 to produce miniaturized telemetry modules for model rockets such as a roll rate sensor. 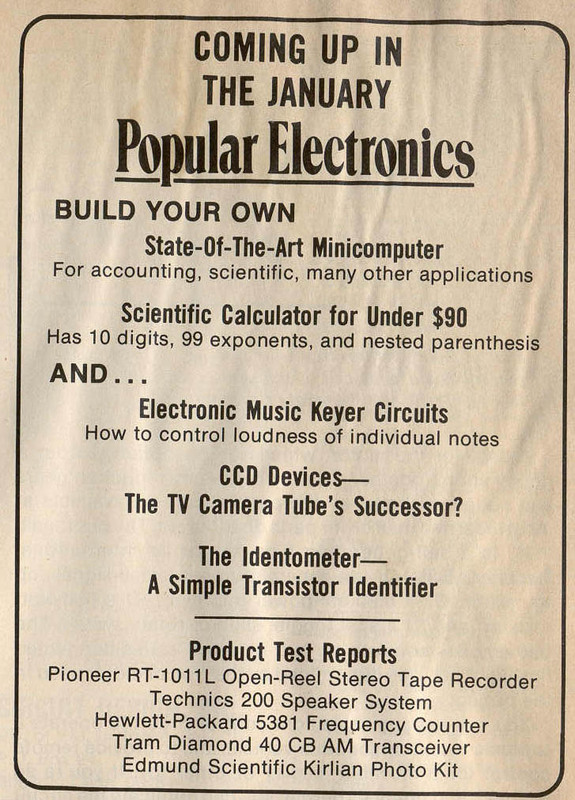 In 1971, Roberts redirected the company into the electronic calculator market and the MITS 816 desktop calculator kit was featured on the cover of Popular Electronics in November 1971. The calculators were very successful and sales topped one million dollars in 1973. A brutal calculator price war left the company deeply in debt by 1974. 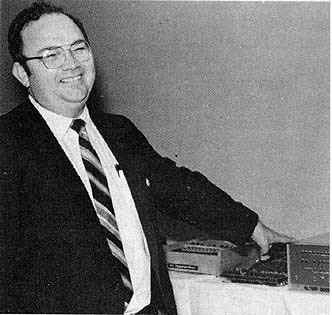 Roberts then developed the first commercially successful home computer, the Altair 8800. 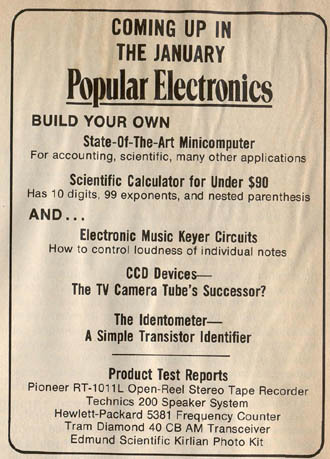 This was featured on the cover of the January 1975 Popular Electronics and hobbyist flooded MITS with orders for this $397 computer kit. 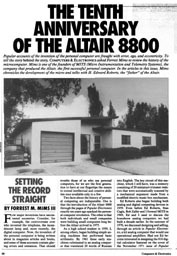 Paul Allen and Bill Gates also saw the magazine and began writing software for the Altair computer. They moved to Albuquerque to work for MITS and in July 1975 started Microsoft. 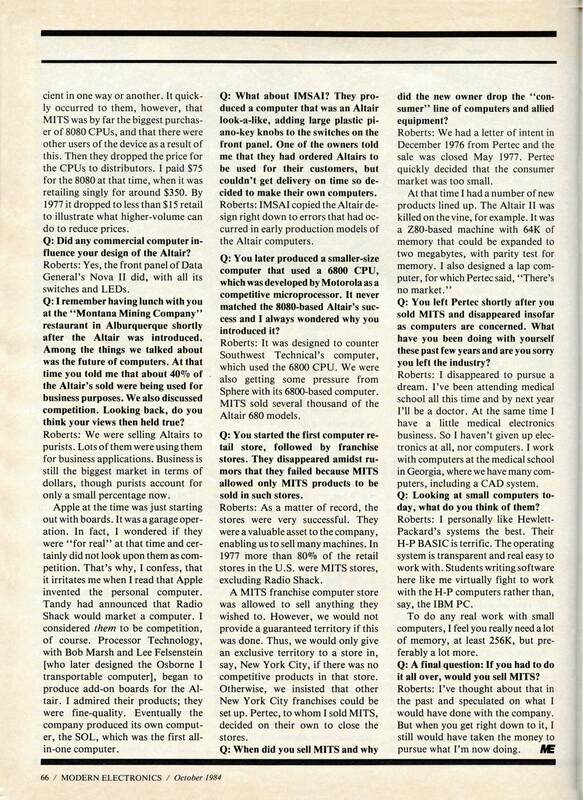 MITS's annual sales had reached $6 million by 1977 when they were acquired by Pertec Computer. The operations were soon merged into the larger company and the MITS brand disappeared. 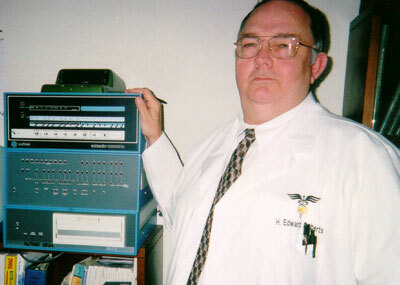 Roberts retired to Georgia where he studied medicine and became a small-town doctor. We would like to thank Forrest Mims III for providing the following photos and documents from the very early history of MITS. 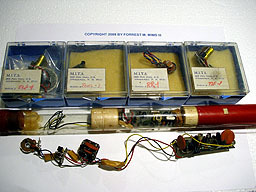 An excellent reference to the history of MITS can be found on this page at his site. Michael Holley has done a tremendous job of pulling together MITS history and has hosted a number of displays on MITS at recent Vintage Computer Festivals. 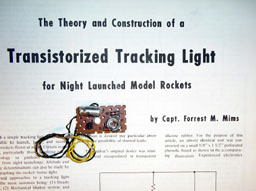 Read the story of the MITS model rocket tracking light re-construction on our pages here. 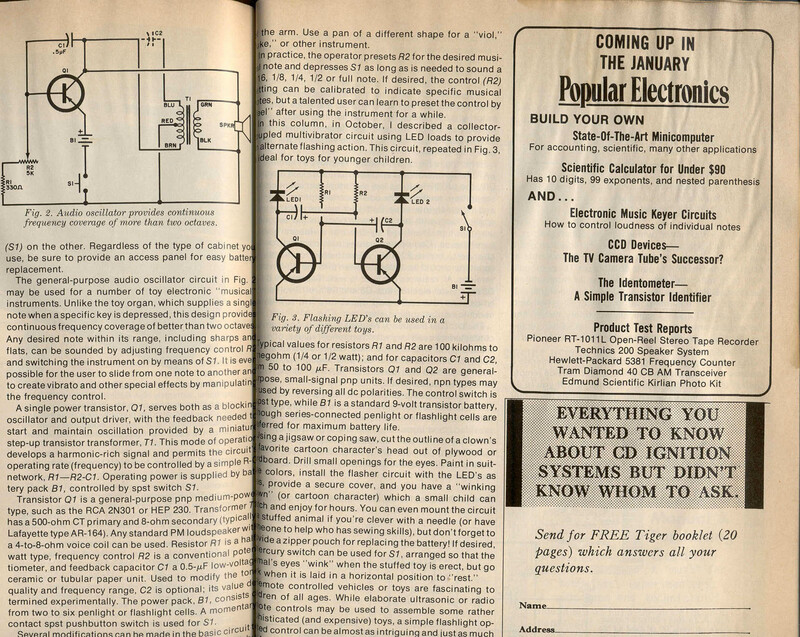 Also see his scans of MITS products and coverage in Radio Electronics (1972-76) and MITS reviews and ads in Byte Magazine (1975-76). You can also see an excellent recounting of Michael Holley's homebrewing experience at his site here. 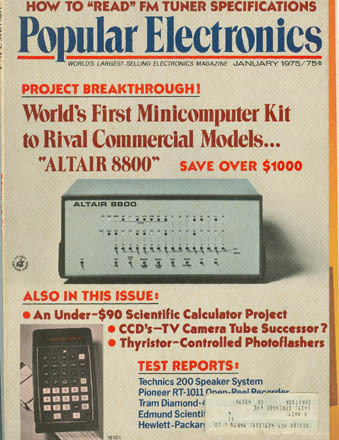 The launch of the MITS Altair would not have been possible without the Itntel 8080 CPU, launched in June of 1974. 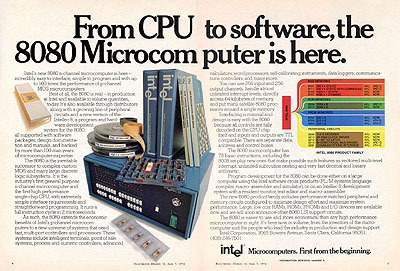 Previous bare-bones microcomputers had been bult around the Intel 4004 and 8008 CPU's including the Sac State 8008, perhaps the most complete early microcomputer, created at Sacramento State University in 1972-73. Excerpt from David Bunnell’s upcoming, tongue-in-cheek novel, Start Up! 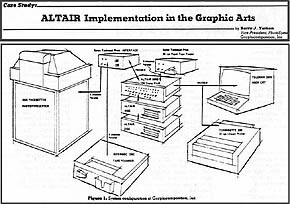 The True Story of How I Invented the Personal Computer.Read this hillarious chapter How BASIC Became the Standard Programming Language for the Altair and other Personal Computers (funnier than you might think!). 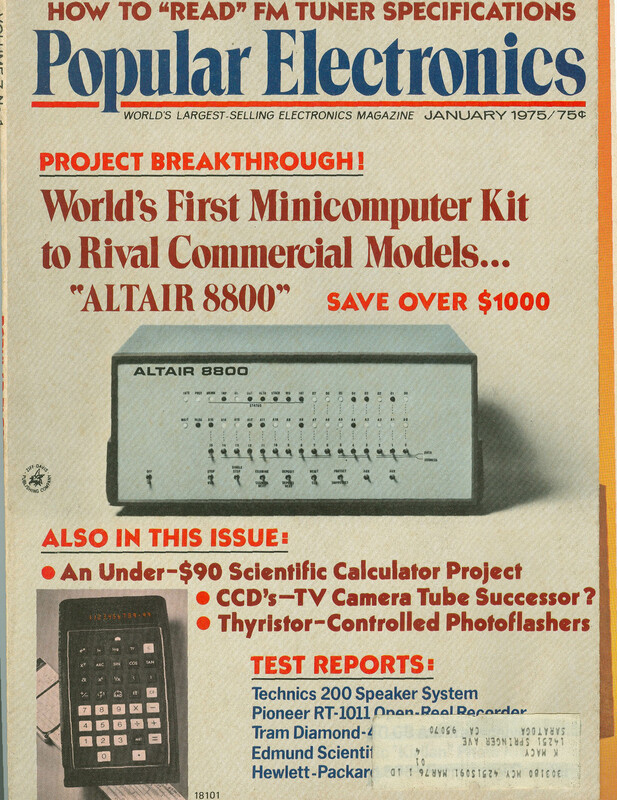 From the Digibarn's collection of Popular Science magazines, the December 1974 "coming features" mention of the Altair story "BUILD YOUR OWN State-Of-The-Art Minicomputer For accounting, scientific, many other applications" toward the end of the issue, see pages from which this was extracted here. 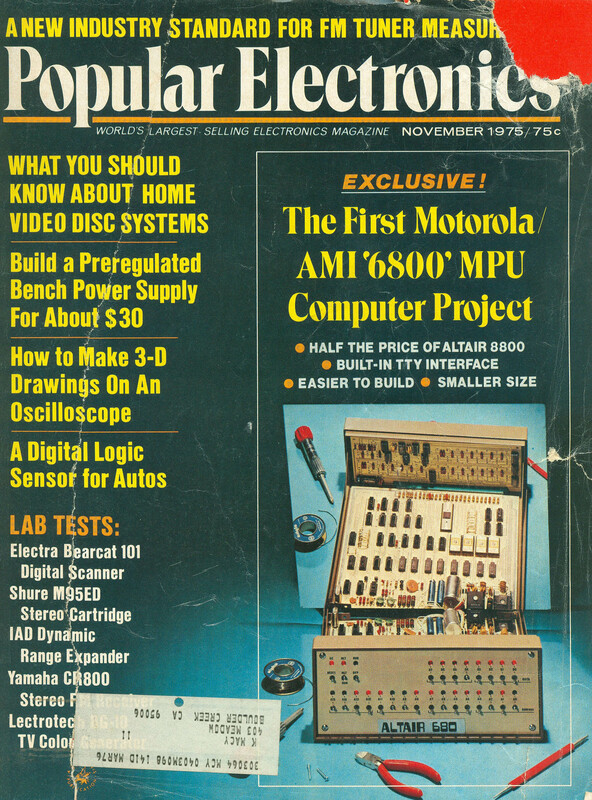 Thanks to Ken Macy for sending in these scans of copies of the famous January 1975 cover of Popular Electronics which launched the Altair 8800 to the world. 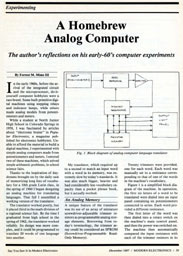 He also contributed the cover of the November 1975 issue which featured the more compact Altair 680 based on the AMI 6800 CPU. Erik Klein switching in Fool on the Hill into an Altair 8800... and playing it back! Leslie Solomon of Popular Electronics magazine planted the seed that resulted in my stopping over in Albuquerque to visit MITS. I had worked across the hall in Modern Bride magazine's editorial office at Ziff-Davis. That was Year One of the Altair revolution. I never met Ed Roberts face-to-face, I was told he was "hunting in the desert" and left me in the good hands of Dave Bunnell. Interestingly, MITS closed a few years later, Modern Bride magazine recently ceased publishing, and I hadn't thought about those "early days" until Bruce Damer's wonderful website caught my attention via a Google search early this year. Bruce encouraged me to write the follow-up article published here on DigitBarn.com. It is enticing to try to reconstruct the impact of MITS and a really personal computer, on the history of these past 40 years. "Immense" is the word that comes to my mind. For instance, we can't know whether Bill Gates and Paul Allen and the early Microsofters would have gained traction without MITS and the Altair setting a precedent, or without the exponential growth of personal computing that the Altair Idea fueled. I can tell you that it led to the series of events labeled "Desktop Publishing" that caused the demise of the typesetting industry of which I was a part. Imagine today's world without Windows, Macintosh and the Internet. Ron Boley and I missed that wave but went on to full careers engendered by the PC. Ron was an evangelist to OEMs for Intel and I was a commercial user of micro- and minicomputers. Dave Bunnell's contribution as a formidable publisher and advocate can't easily be measured but without his foresight and energy the PC revolution would have been at risk. Of course, I am speaking of people whom I know best. There were many, many others who were important contributors. And there were many ups and downs before the present day's technologies and players shook out. At the time, no one could imagine the extent of the PC industry and all that came afterward. I believe it has been beneficial to mankind -- only future historians can make that judgment with certainty. Thank you to Bruce Damer for all of the energy he has put toward conserving the greatness of that era and the physical artifacts and publications that define it.